Controlled substances such as drugs and narcotics require top-notch security, but still need to remain accessible to medical professionals and personnel. Medical storage safes are a great solution for pharmacies, labs, hospitals, and other healthcare facilities that handle controlled substances and narcotics. Two different key locks ensure extra security to prevent theft or pilfering from unauthorized access. In addition to its double key locks, its durable 20-gauge steel construction guarantees long-lasting use. You can use the medical storage safes as standalone options or mount them to the wall to save space. The safes even come with pre-drilled holes so you can mount them to the wall quickly and easily. Depending on the model, you can choose from cabinets with one or two doors. 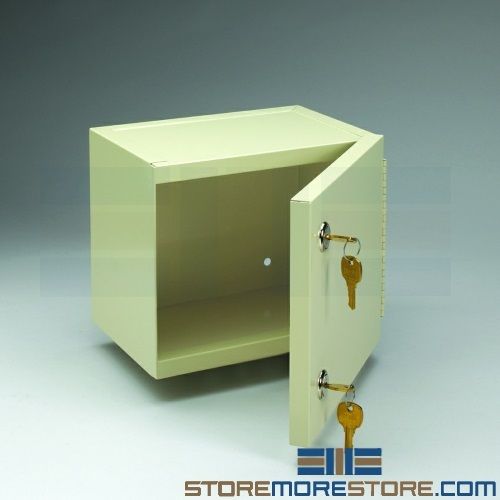 Each cabinet comes with a double key locking system regardless of the number of doors. Additionally, adjustable shelves allow you to store multiple sizes and types of medications in one cabinet that remains flexible to your changing needs. 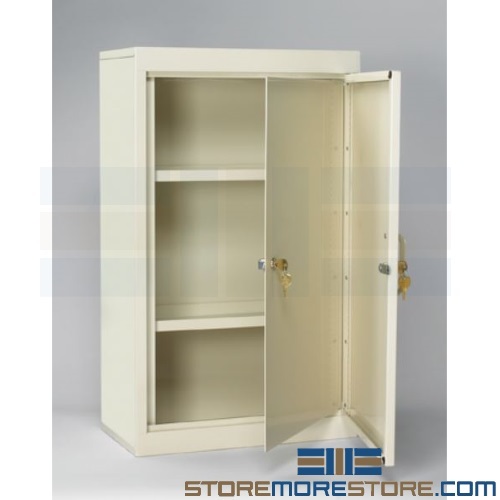 And if your application is a little smaller, we also have small single-door wall cabinets. Medical storage safes are available to buy online and ship fully assembled within 5-10 business days. Free dock-to-dock shipping included. If you need any assistance or just want some help picking the right solution for you, please call us at 1-855-786-7667.